THQ has done it. They have made a reveal fans will be most excited about! More than that, THQ spoils the fans with screens, box art and a trailer! No longer do you have to enjoy WWE from the comfort of your couch, just watching. Now you can be a part of it! 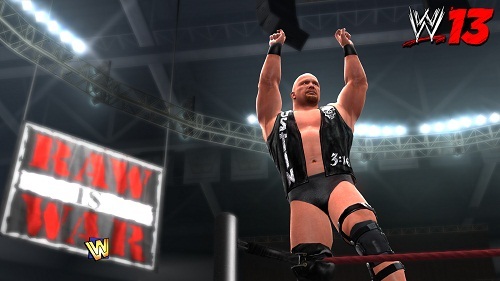 WWE ’13 is on its way and will arrive on European shores on the 2nd of November 2012. THQ’s flagship WWE videogame franchise returns to provide the most authentic, seamless and passionate experience to date – all while turning up the attitude. WWE ’13 will transform WWE gameplay through the introduction of WWE LiveTM, completely changing the way player embrace the videogame’s audio and presentation elements. Predator TechnologyTM returns to further implement critical gameplay improvements, while fan favourites in WWE Universe mode and the franchise’s renowned Creation Suite are poised to offer the utmost in player freedom. 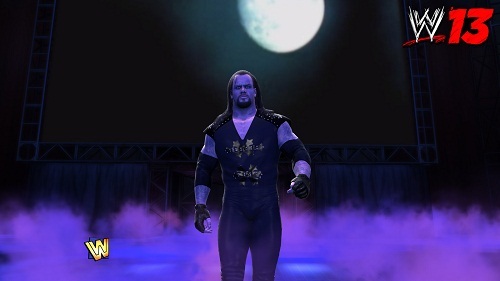 Furthermore, WWE ’13 will introduce groundbreaking, single-player campaign based on the highly influential Attitude Era. Complete with a robust roster – the largest to date in the franchise – along with a host of additional features, WWE ’13 is ready to live a revolution all its own. Check out the screens below! Trailer will arrive soon.